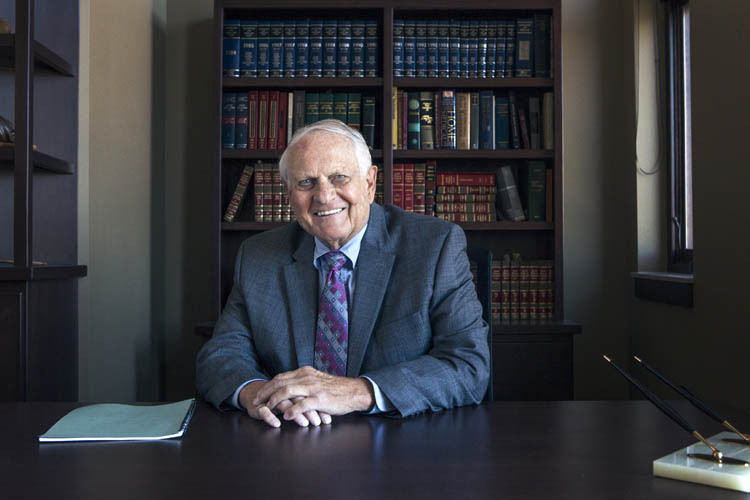 James S. Nelson has been practicing law since 1959. He has been with the firm of Gunderson, Palmer, Nelson & Ashmore, LLP since 1988 and practices in the areas of Civil Litigation, Corporate and Business Litigation, Personal Injury, Insurance Defense, Business Transactions, Real Estate, and Gaming Law. Jim earned his B.S. degree at Black Hills State University and received his J.D. from the University of South Dakota. After law school Jim served three years in the United States Army as a Captain in the JAG Corps. Jim served in the South Dakota House of Representatives from 1969-1974. He is a member of the State Bar of South Dakota, the American Bar Association, the South Dakota Trial Lawyers Association, the American College of Trial Lawyers, and the American Board of Trial Advocates, in which he served on the National Board of Directors and as past president of the South Dakota Chapter. Jim is also a former president of the South Dakota Trial Lawyers Association and the State Bar of South Dakota. Jim is also active in the local community where he is currently President of The Mount Rushmore Institute serves on the Board of Directors of the Hope Center and has served on the Board of Directors of the Mount Rushmore National Memorial Society and was President of the Society from 1999-2005. He has served on various Boards of Directors for profit and nonprofit corporations, including insurance companies and the Federal Home Loan Bank of Des Moines and was past President of the Rushmore Mutual Life Insurance Company and Mt. Rushmore Casualty Company. South Dakota Chapter President - 1992-1993.